Two Russian sailors have been kidnapped after pirates attacked a ship in the Cameroonian port of Douala. According to Itar-Tass, the sailors taken hostage are captain Boris Persintsev and chief engineer Igor Shumik. Ten Russians and six Ukrainians were onboard the ship. 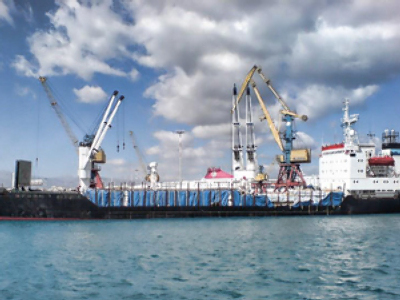 The “North Spirit” vessel, belonging to a Greek company and traveling under the flag of the islands of Saint Vincent and the Grenadines, dropped its anchor in the port of Cameroon’s largest city on Saturday, May 16. The attack occurred late on May 16. Two boats with armed people approached the vessel from both sides. There were around 20 attackers, who seized the ship's equipment and personal belongings of the crew and kidnapped two Russian citizens. Chief engineer Igor Shumik has already been held captive by pirates before as he was a member of the crew of the infamous “Arctic Sea” cargo ship which was seized last year.